All you need is to add water! 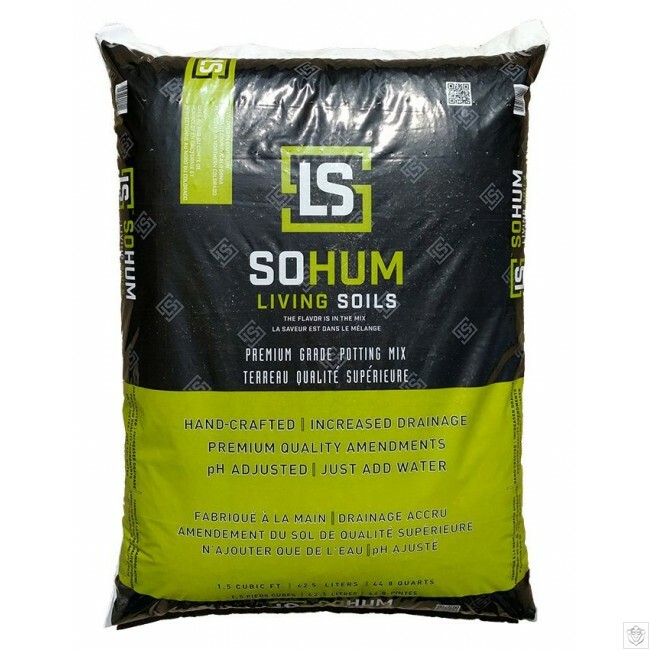 SoHum Living Soil is handcrafted by growers for growers to provide a true living bio-dynamic mix to be used for container growing in an indoor or outdoor setting. 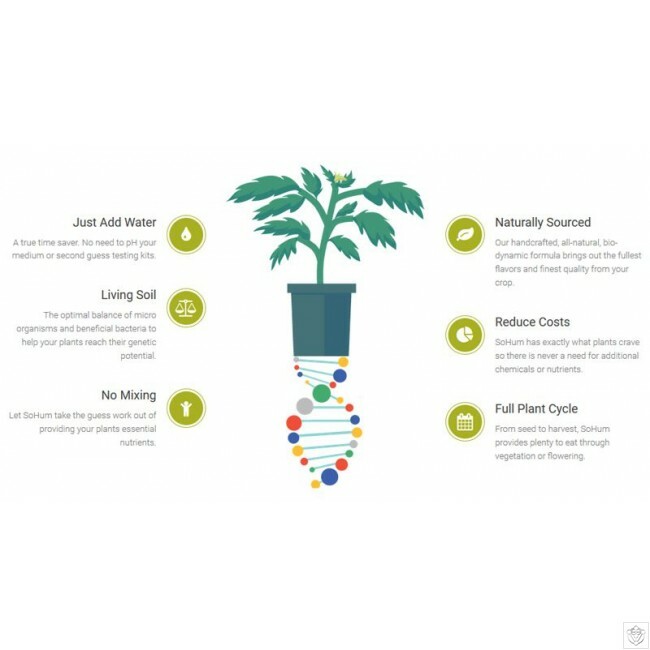 SoHum Living Soils is a bio-dynamic potting mix developed to optimize the plants’ genetic potential. In cultivation, the term “bio-dynamic” applies to the understanding that a living soil with beneficial bacteria and fungi directly impacts plant development, emphasizing a natural approach to growing. SoHum has been used by many such as The Grove Facility. The Grove, based in Las vegas Nevada has been using SoHum Living Soils for over two years and counting because of its high quality products and results. SoHum Living soils has passed every test with amazing results within the USA. 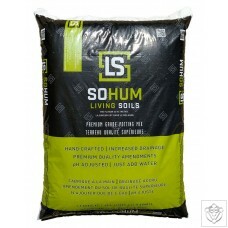 SoHum Living soils are also the most simple to use, with the Start to Finish soil being the only thing you need. All you need is to add water! We cracked the code to provide your plants the best, all natural, grow solution available.